Worker safety and environmental impacts are always key factors to be considered when working within the Emissions Industry. There are many potential hazards to both workers and the environment that need to be considered when working with Diesel Particulate Filters (DPF), Catalysts, and related equipment. The following pages highlight some areas of concern with respect to both worker and workplace safety, and the environment. At FSX we are continually looking for ways to make our products safer and reduce our environmental impact, and we welcome feedback from our customers, partners, and environmental and safety agencies. Diesel Soot and Ash are known byproducts of diesel exhaust. They have been determined to be a health hazard, and the requirements surrounding worker safety vary between Federal, State, and local regulations. As a minimum the same precautions should be taken while cleaning DPFs that are used when working on any other part of the exhaust system. Consult your local emissions authority for more information. 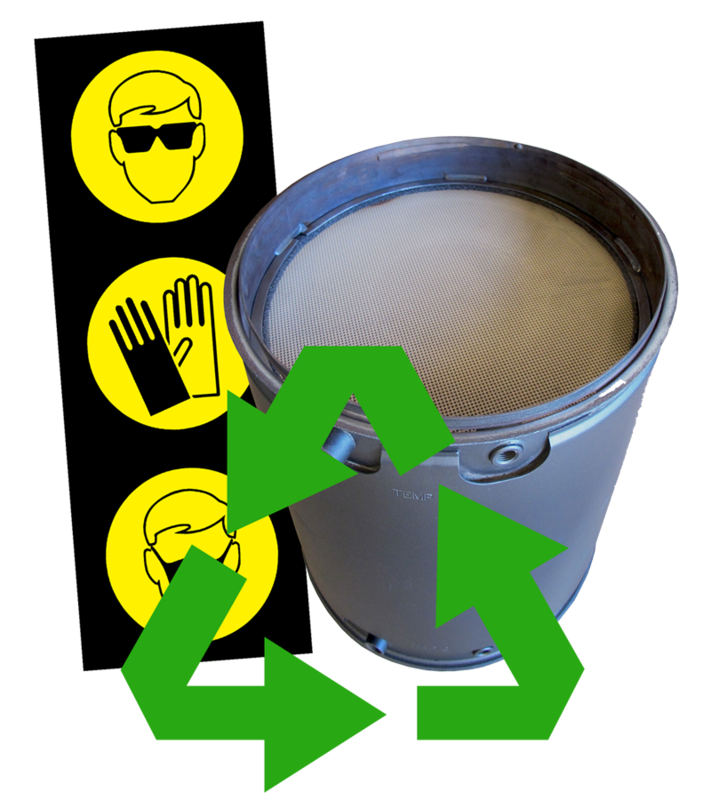 Primary Hazards to Employees when handling DPF are: Breathing Particulate Matter (PM), Absorption of PM through the skin, Eye hazards, Lifting and dropping hazards, Hearing hazards. While every shop is unique, all share some common characteristics and risks. 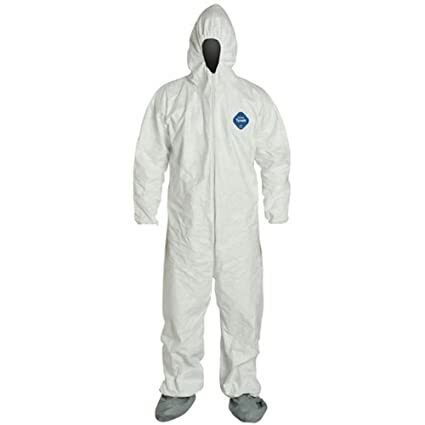 Equipping your shop with the proper tools and equipment in the long run makes the cleaning of your DPFs a more effiicient process, improves worker safety, and allows you to process more DPFs in a given space while maintaining the highest processing quality. 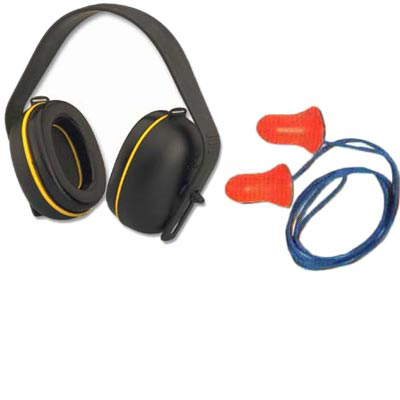 Below are some of the items you may wish to consider to make your shop as productive, safe, and efficient as possible. High quality dust collection system -The proper dust collection system will not only efficiently gather the cleaning byproducts, but will also prevent material from entering the dust collector exhaust stream and discharging it outside or back into the shop. FSX dust collectors, such as the SootSucker 2, has been designed to handle the flow of particulate coming out of the FSX TrapBlaster. Special focus was concentrated on maximizing the life of the internal paper filters, lowering your consumables cost and exposure to Particulate Matter (PM). This solution can behuge improvement to your operation in a number of ways. DPFs are heavy - some wieghing over 70 lbs. Using a crane or jib boom with a winch and TrapTongsprevents injuries, protects your TrapBurner kiln, and protects your customer filters from inadvertent damage during handling. Roll carts - There are several varieties of rolling carts available to help make handling your DPFs easier. While it may seem trivial and un-needed, one broken flange on a customer DPF can make the cost of a simple cart a stronger consideration. FSX reccommends ones that have a hydraulic scissor table that allows easier lifting of heavy filters. Conveyors - In large DPF cleaning operations where multiple cleaning machines cover a large area, some customers utilize conveyor or roller-rack systems to efficiently move DPFs. Forklifts / pallet jacks - While a rolling cart is helpful in many instances,\ DPF are frequently shipped and/or stored within the cleaning facility on freight pallets. Having a forklift or a pallet jack handy can make life in the cleaning center a lot easier to manage. As with all safety recommendations, consult your local authorities for additional requirements. Check with your local or state environmental agencies before disposal. Dispose of cleaning byproducts in accordance with your local regulations. Ash and Soot removed from the Diesel Particulate Filter (DPF) is considered low level hazardous waste in some states such as California. Check with your local or state environmental agencies before disposal. Check with your local or state environmental agencies before disposal. 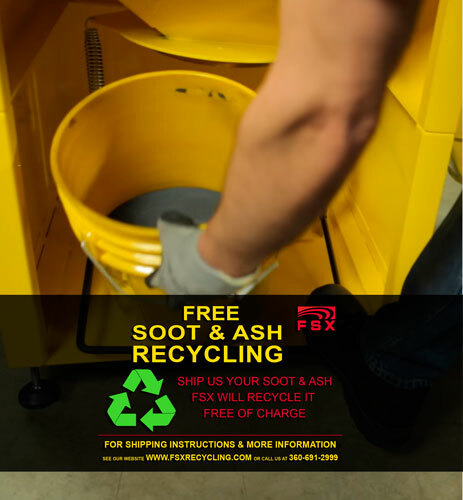 One of the many advantages of the SootSucker is that around 300 DPFs can be cleaned before the primary filter needs to be cleaned or replaced. We encourage you to check your local area for industrial filter cleaning company that can provide this service. When primary filters need to be disposed, you need to follow local environmental regulations since they contain the same diesel soot and ash found in all other exhaust system components. Ash tested came from three random samples taken at FSX Inc. from the waste bins on the ash collection system. On any given day FSX cleans a wide variety of DPF and catalysts that are manufactured or distributed by numerous OEM's. Filters are incoming from multiple customers nationwide using a variety of fuels and lubricants. 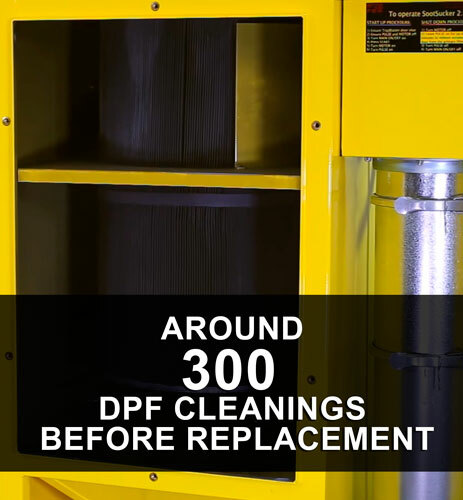 Approximately 54% of the DPF being cleaned are catalyzed; DOC's compose approximately 9% of the volume. The elements listed below were found in the form of common oxide compounds. The percentages of each ash element can change from test to test but the list of elements is unlikely to change. 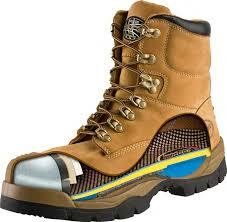 * Palladium (Pd) is one of the precious metals used in the washcoats. There was no measurable amount of Platinum (Pt). These metals can be released by the DOC upstream or from DPF cell walls if coated. The quantity of Pd found (.048%) was considered inconsequential by the testing lab and the lack of any measureable amount of Pt indicates that the FSX cleaning process does not damage the precious metal washcoats. © Copyright FSX Inc 2015, All Rights Reserved.